The west side of North Pleasant Street, just north of Amity Street. 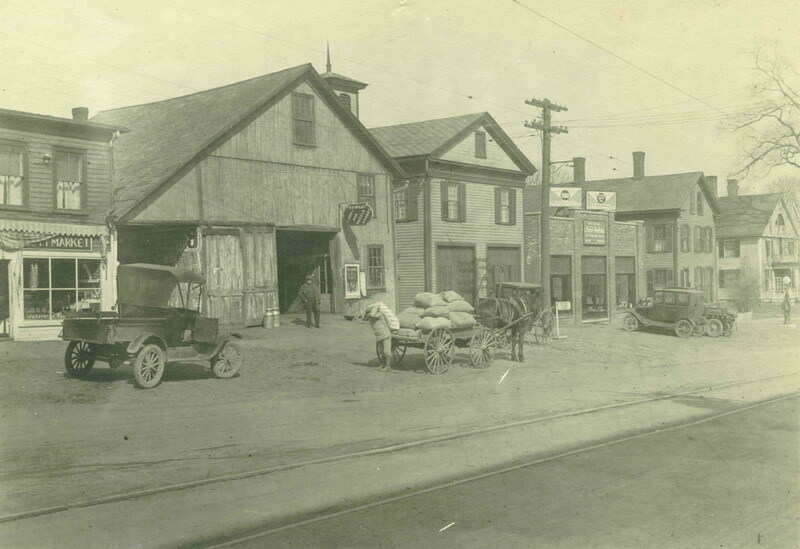 Buildings (left to right) are: Variety Market; W. A. Wiley, Livery and Saddle Horses; the old Amherst Fire House; Kiely Brothers Ford sales and service; a private residence; and the Whipple House. This image illustrates the transition in modes of transportation from horse power to engine power. Barnes, Lincoln W., 1879-1966, “West side of North Pleasant Street near Amity Street in Amherst,” Digital Amherst, accessed April 23, 2019, http://www.digitalamherst.org/items/show/767.